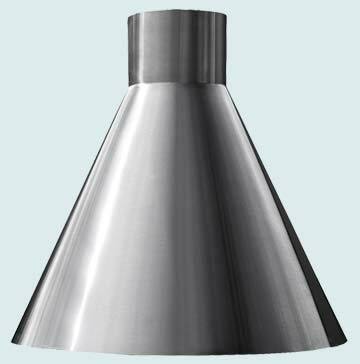 Handcrafted Metal makes conical stainless steel range hoods that are customized to accommodate your kitchen and your taste. With us you can customize every dimension and feature, such as hammering, color tone, and lighting. To further customize your stainless steel range hood you can also choose from additional features, such as elegant bottom bands, hand-wrought straps, clavos, and rivets. Personalized features like these are guaranteed to please. Our stainless steel range hoods are made with 14 gauge stainless steel, which is 25% thicker than 16 gauge, so they are very durable. We will work with you to make a superior stainless steel hood that looks splendid in your kitchen. 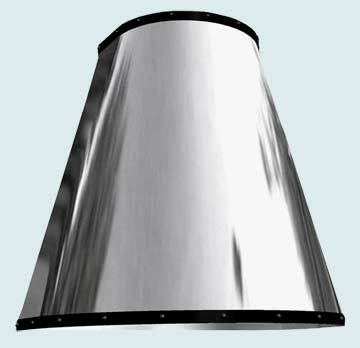 Click on any conical hood below to see more pictures, and customize it according to your specifications! Shapes, angles, & patterns make this a fascinating hood. The top of the conical shape is offset to the left, the top is angled to match the ceiling, and the bottom features an undulating s-shaped curve. Our random overlay finish follows the curved front of the hood. All stainless steel. 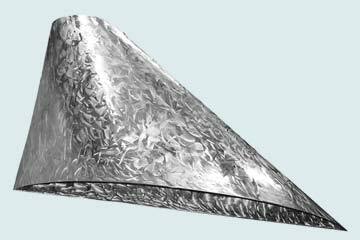 This classic conical hood features seamless construction. This hood includes an optional integral stack. 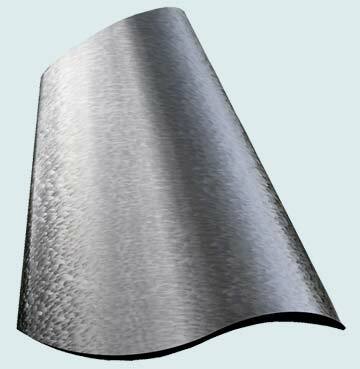 The single wall construction is stainless steel with our micrograin finish. 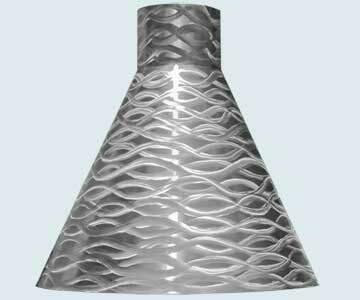 This stainless hood features our custom waves pattern, and an integratal stack at the top. The base finish under the waves is micrograin. Stainless steel. An offset conical shape with radical angles at top and bottom. The extraordinary asymettrical triangular shape is a powerful design element. Our butterfly finish further energizes this hood in the room. All stainless.